Terracotta is a traditional Indian art form that has taken shape over thousands and thousands of years. Research and active excavations have brought to light many specimens of this clay art form such as pottery, figurines, earthenware, bowls, cups, vases, etc, dating back to the Indus Valley Civilization (2600–1700 BC). 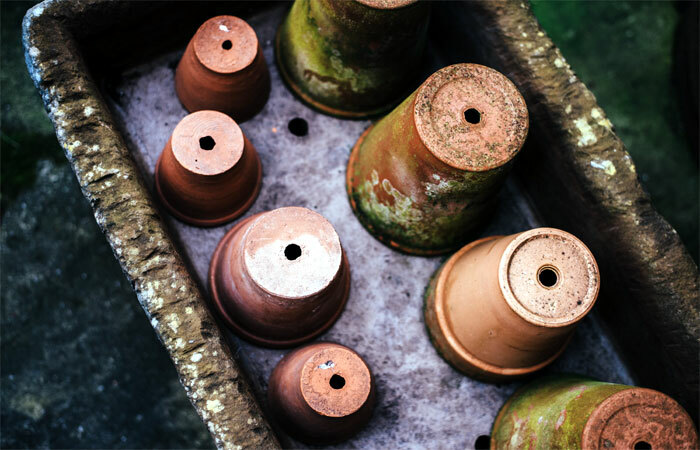 Almost every Indian household utilizes some kind of product obtained from pottery such as pots and pitchers for storing water, earthen pots to grow plants and flowers in as well as beautifully designed lamps or diyas of all shapes and sizes to brighten up their homes. These items are in even greater demand during the festive seasons. For example, during the festival of Diwali, Hindu homes are decorated with a large variety and number of diyas or lamps that beautify the house and spread light. There is a huge demand for simple yet beautiful clay toys just before the festival of Dussehra which is celebrated all across the country with much fanfare. Besides there, the Kalash or the pot is also widely purchased during the wedding season. What is interesting to note is that Terra cotta art and pottery contributes tremendously to India’s rich culture and traditions and has great significance in the lives of people, across the various states of India. West Bengal is well known for its rich tradition in Terracotta art. In fact, some of the most exquisite patterns of temple terracotta panels are made here. The towns of Bengal which are most well known for their terracotta art include Hooghly, Murshidabad, Digha, and Jessore, among others. Another essential name associated with West Bengal’s terracotta art is the Bankura Horse. It is a large red clay horse which is beautifully decorated. Bastar in Madhya Pradesh is very well known for its rich culture and tradition of making Terracotta pottery. The tribals of Bastar make beautiful designs and intricate statues of animals such as horses, elephants, and birds as well as beautiful, traditional temples made of clay. The statues are also used for making sacrifices to their diety. Gujarat is famous for its beautiful, hand-painted clay products which are made using the wheel. The most common of these include clay pots which are designed to perfection and decorated with eye-catching geometrical designs and figures of fish, etc. The womenfolk are actively involved in decorating the earthen wares. The most common form of Terracotta pottery in Tamil Nadu are those created by the Aiyanar cult. The popular terracotta figures made by them include large sized, realistic looking figures of elephants and horses, etc. The common belief is that the Tamil dieties ride them and hence, they are also seen as protectors of the village and those who travel through. The state of Haryana is known for its ethnic and extremely popular forms of clay items such as the traditional hukka and smoking pipes as well as other daily-use products such as teapots, flower vases, beautiful animal figures, cups, water pots, wall hangings, lamps and more. While some of these items are used in households, others may be used as decorative items, showcasing the fine art of terracotta, clay pottery. The city of Delhi holds on to its tradition of ‘Bue’ Pottery for which it is very well known. The color blue is derived from Persian blue dye which is added to the clay to get that beautiful, exquisite colour. Hence, Delhi’s glazed blue pottery is considered to be a very impressive, tough and pleasing form of Indian terracotta pottery. The tribals of Orissa are traditionally involved in creating terracotta pottery items which are used around the house. Some of the most common, simple yet useful items created by them include earthen tea cups, pots, kitchen utensils, and roof tiles, etc. In addition, realistic looking figures of animals are also made such as those of horses, elephants, etc. While some of these products may be beautified with brilliant designs and colors, others may be simply left in their natural look. Museum of Terracotta in India – Sanskriti Museum of Indian Terracotta, New Delhi, India.